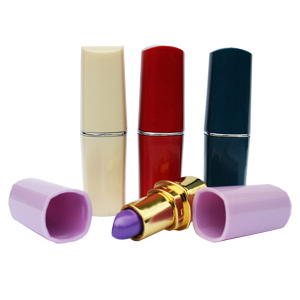 Stash away small quantities in this completely discreet Lipstick Stash Container. Disguised as a regular lipstick dispenser, this storage unit stands 75mm ( about 3" ) when completely assembled. The cover opens like real lipstick to show an authentic looking fake vinyl lipstick tip for the ultimate fakeout. Pulling the lipstick tip from the base will reveal a 4mm X 15mm ( 1.5" X 5" ) stash space. Fill it up with whatever you want to keep secret and place on your vanity or in your purse for the ultimate discreet stash.